Recipients must be a full professor at an SEC university, have a record of extraordinary teaching and have a record of scholarship that is recognized nationally or internationally. The SEC Professor of the Year receives an additional $15,000 honorarium. Lall specializes in electronic packaging and his research interests include thermo-mechanics of electronics in harsh environments, constitutive behavior or electronic materials and multi-scale modeling of nanostructures. He is a recipient of the College of Engineering’s Senior Faculty Research Award and is the founding faculty adviser for Auburn’s student chapter of the Surface Mount Technology Association. Lall serves on the Administrative Committee of the Institute of Electrical and Electronics Engineers, or IEEE, Reliability Society and is its representative on the IEEE-USA Government Relations Council for Research and Development Policy. He is a fellow of the American Society of Mechanical Engineers, or ASME, and he chairs the Congress Steering Committee for the 2012-2013 ASME International Mechanical Engineering Congress. He has served as a member of the National Academies Committee on Electronic Vehicle Controls and Unintended Acceleration and is the recipient of three Motorola Outstanding Innovation Awards and five Motorola Engineering Awards. 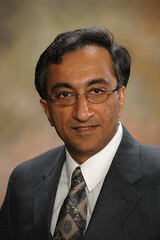 He holds three U.S. patents and serves as associate editor for the Institute of Electrical and Electronics Engineers’ “Transactions on Components and Packaging Technologies” as well as the ASME “Journal of Electronic Packaging.” He has written two books, 13 book chapters and more than 325 journal and conference papers on electronic packaging, as well as design, modeling and predictive techniques. He earned his bachelor’s degree from the University of Delhi, master’s and doctorate degrees from the University of Maryland and a Master of Business Administration from the Kellogg School of Management at Northwestern University.